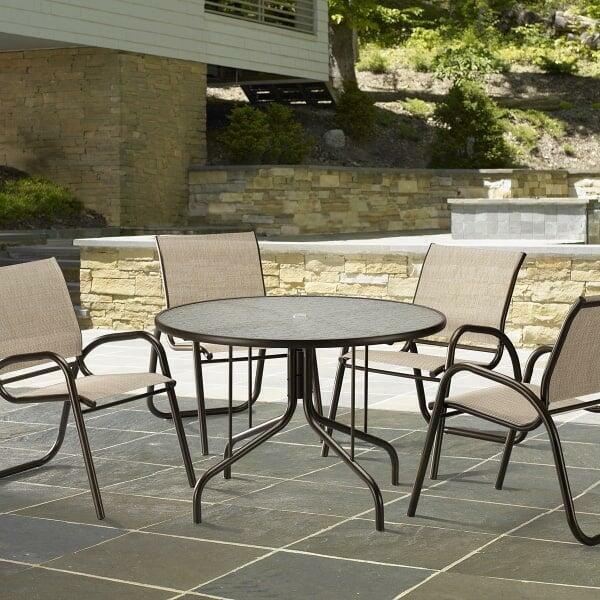 Featured Set Includes: 4 Arm Chairs and 48" Round Embossed Aluminum Dining Table. No fuss, no frills, no bells and whistles! 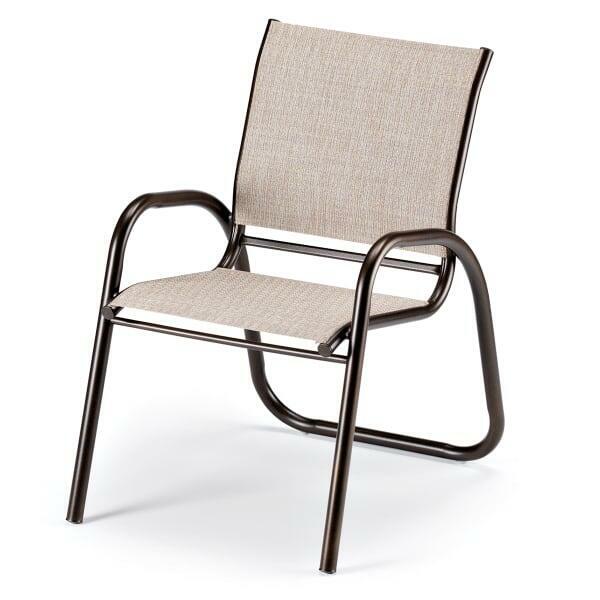 The Gardenella Sling Dining Collection by Telescope is just an excellent value in patio furniture. Crafted with the same conscientious expertise you can expect from Telescope, the Gardenella is an excellent choice for anyone who desires excellent quality but wants to stick to a budget. 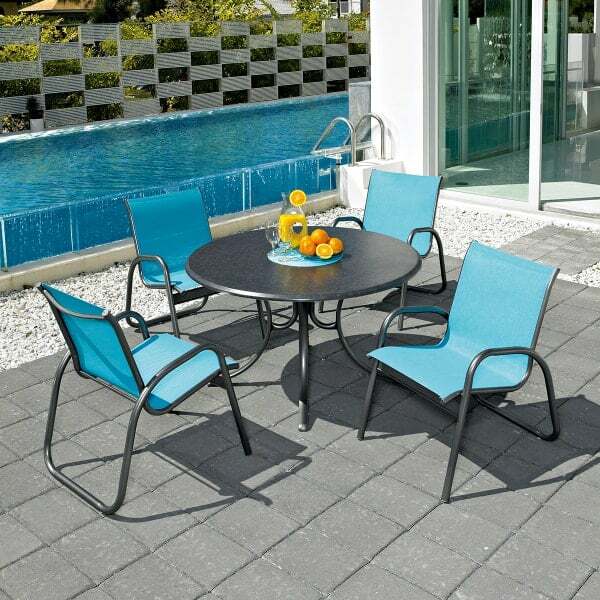 The Gardenella Sling Dining Collection is rust-free aluminum, lightweight but durable, and is finished with a hard-wearing powder-coating, in your choice of color. It requires no special care or maintenance, and many of the pieces are stackable for easy storage.